Many schools will have their software licence fees cut by more than half as Microsoft changes its method for calculating payment. 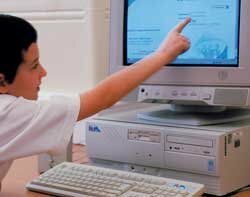 From 1 March, Microsoft will calculate fees based on the number of teachers working at schools, rather than the number of computer units used. Alan Richards, IT manager at West Hatch High School in Essex, has piloted the scheme and estimates it has cut licensing costs by 50%. "We have around 600 machines and 140 staff; schools with more PCs could save up to 70%. At the moment we are looking to make cost savings and [without this] would have had to cut some of our services," he said. Clive Longbottom, founder of analyst firm Quocirca, said the decision was a pragmatic move by Microsoft not to lose its position in the market. “Three years ago 97% of all desktops used Microsoft, now that figure will drop below 90%. This is a deliberate moved to get students hooked on Microsoft technologies,” he said.